I challenge you to find a better flavor on the planet than "chipotle"
I don't know what it is about the flavor you get from chipotle peppers, but there's nothing else like it. The restaurant I work in serves a chipotle aoli (which for those who don't know is just mayonnaise with chipotle added) with a few different dishes. People go crazy for it, and ask form more all the time. Pretty much any item on the menu is better with that sauce (tacos, burgers, fries, vegetables... you name it). This summer I discovered a chipotle seasoning powder that I started adding to almost everything I cook, even eggs for breakfast. I've had chipotle chocolate before as well, and that's good too. So basically it works well for all meals, including desert if necessary. Last week I tried a chipotle stout beer. It was like a Guiness, but with a spicy aftertaste. It went really well with the thickness and creaminess of the beer. 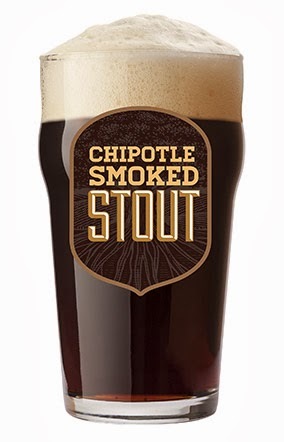 So now you can check "drinks" off the list of things improved by chipotle too. In conclusion, I have come to the verdict that chipotle is the single greatest flavor in existence. And here's my post compiling a list of all the other crazy flavored things I have blogged about in the past. Amazon is weirdly misrepresenting their Kindle Fire "Mayday Button"
So basically your tablet includes a free service where you can get live video tech support from a real human being within seconds at the touch of a button. This is definitely a cool idea, and I'm curious to see how it works. But I think Amazon/Kindle is going in the wrong direction with these ads by turning the "person in your computer" into an attractive lady who enjoys flirting with you. When I see these commercials the first thing I think of is this guy is just going to keep pressing the "mayday button" all the time for the chance to hit on Amy. But the strange part of it is I sort of feel like that's exactly what they want me to think... It's a little creepy. 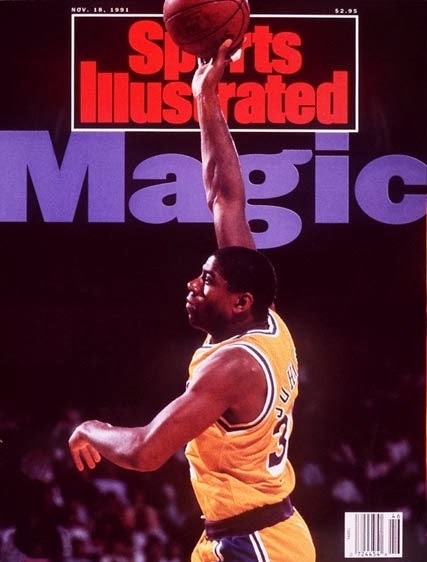 It was 22 years ago today that Magic Johnson announced he had HIV. Now he's fine. Why isn't that bigger news? "Because of the HIV virus that I have attained I will have to retire from the Lakers, today." A few weeks later in my high school freshman English class we were required to give a memorized speech of our choosing. I selected the first few paragraphs from Magic's account of discovering he had the virus, as told to Sports Illustrated. Everything I had learned up to that point in my life dictated that he was going to die. HIV caused AIDS, and there was no cure for AIDS. Twenty two years have past, and Magic Johnson is OK. Magic Johnson has cured HIV. If you have the finances to give you unlimited access to all the best medical treatments the world has to offer, HIV doesn't give you AIDS. Johnson is living proof of that. For a long, long time now I have been wondering why this isn't bigger news. I can't believe I'm advocating for Humphries. The idea of trying not to win games in order to get a better draft pick makes me sick; it goes against everything I know and love about the competitive nature of sports. Plus as a season ticket holder it's pretty discouraging to be paying for a product that is intentionally inferior. I'm also not convinced that being worse this year actually even increases the Celtics chances of being better in the future; in July I wrote a piece that shows historically tanking hasn't worked in the NBA. They've led every game so far at some point in the 4th quarter (and outscored their opponents 284-271 through 3 quarters), but then gotten destroyed by a combined 109-66 in the final period. Probably that just means they're a young team with no go to guy down the stretch. But, it could also imply a philosophy such as "OK, we've proven we can play with this team, now let's call off the dogs." The guy playing the most minutes (35 a night) is Gerald Wallace, who's averaging a pathetic 5.5 points per game, the lowest on the team of anyone who's scored. 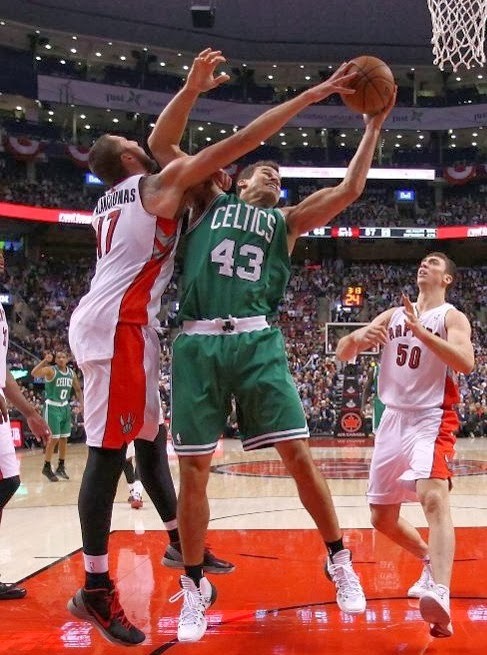 Veteran Kris Humphries posted 8 points on 3-4 shooting, 9 rebounds, and 2 blocks in just 21 minutes on opening night while Jared Sullinger was suspended. Since then Humphries hasn't gotten off the bench once, while previously unheard of rookie free agent Vitor Faverani starts at center. Boston is averaging a league worst 21 turnovers per game. With Rajon Rondo out, they only have one point guard/true ball handler on the team, Phil Pressey. And like Humphries, Pressey hasn't seen the floor in 3 games, and has logged just 4 minutes all season. Using a point guard who actually is a point guard might be good way to avoid turnovers. I'm headed to the Garden shortly to watch the Celtics take on the Jazz (here's my game preview for CLNS Radio, although it's fairly redundant to what I've just discussed). Utah is the only other 0-4 team in the league. If these guys want to have any chance of convincing myself and other fans that they're not tanking, this is a must win. Now that I've had some time to mull it over, I've come to the conclusion that they can't possibly work. 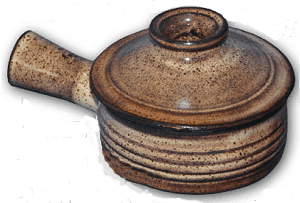 If that sort of magical cooking technology really existed, A, it wouldn't cost $5, and B, it wouldn't only be for sale late at night on cable television. So if you have a Stone Wave and are actually happy with it, please let me know. "Forever Lazy" is out of their mind with their marketing. 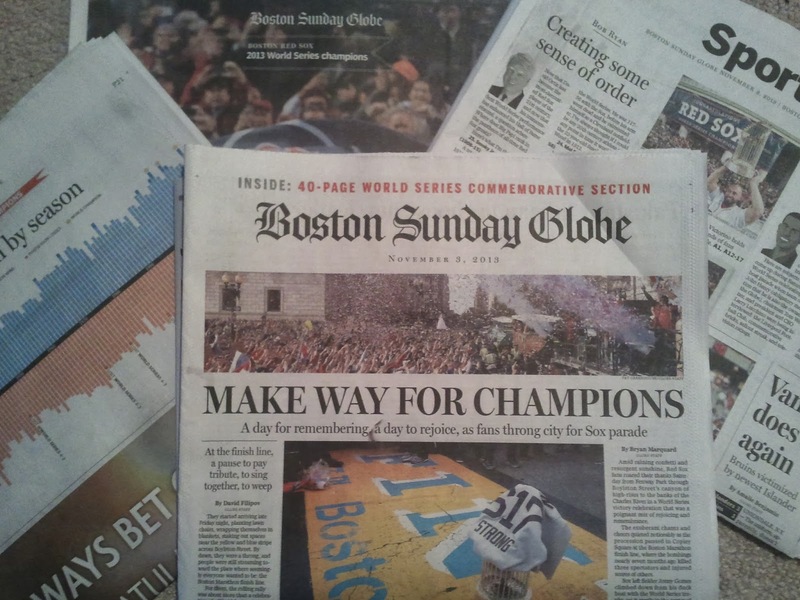 Upon hearing that the Boston Globe was featuring a special 40-page commemorative Red Sox section yesterday, I decided I had to have it. It was the first newspaper I'd bought in a long long time (other than the Wall Street Journal issue that mentioned my website, it's been several years). This morning I spread it out to read on the living room floor, just like I used to do as a child before the internet. Then I went back and reviewed everything I wrote about the ball club all season. "The prevailing outlook on the 2013 Red Sox seems to be that they will be lucky to compete in the AL East. I don't understand this at all. ESPN picked them to finish last. That could well happen, but I also think they are just as likely to finish first." On April 18th, three days after the Marathon bombings, Barack Obama came to Boston. While he didn't realize it at the time, the President predicted a Sox World Series title, and the subsequent parade this past Saturday (coincidentally Obama was back here last Wednesday before the Game 6 victory). The next day Boston residents found ourselves in lockdown, but by the end of the week the Red Sox were back at Fenway, and David Ortiz gave what will eventually be known as his legendary pregame speech. On the last day of April the Sox had the best record in the majors, led by spectacular starting pitching. In early May there was a mild spit ball controversy regarding Clay Buchholz. I was worried it could be true, but nothing ever came of it. By the time the All-Star break rolled around I was already convinced that Boston was a lock for the playoffs, and all those last place predictions reminded me of the fictional Cleveland Indians in Major League. So kudos to the Sox for keeping up their end of the bargain on that one; oddly enough with the help of two crucial errors by Iglesias in the ALCS as a Tiger. On the first day of August Boston won a game against the Mariners in which they trailed 7-2 in the 9th inning. It inspired me to write a piece entitled "It's wins like this that make you think something special is brewing." Later that week a 2-0 loss to the lowly Houston Astros reminded me of how important it is to win the division, and avoid the one game playoff at all costs. This proved to be an unnecessary fear, because in mid-September the Sox were playing as well as any team I'd ever seen. At the end of the month the Red Sox decided to show appreciation for their fans (and promote their ever-growing facial hair) by having "dollar beard night" at Fenway; it was amazing. My other favorite late season story line was the war or words with the Tampa Bay Rays twitter account. After Boston ran away from the Rays down the stretch in the AL East race, I was annoyed (and not very confident) when they had to face them yet again in the first round of the playoffs. Ortiz's grand slam brought Boston back from the dead, in both the game, and maybe the series. Victorino's grand slam clinched the ALCS, and has extra meaning to me because I was there. Nothing actually happened on this play, and it had no bearing on the outcome of the game or the series; but I think it accurately sums up Boston's championship victory over St. Louis. Most impressive thing about '13 #RedSox? "The fact that we never lost more than 3 games in a row is really pretty remarkable," Farrell said. 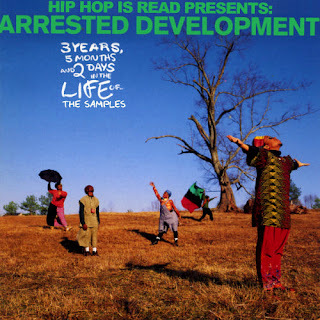 In 1992 the hip hop band Arrested Development released their debut (and only hit) album 3 Years, 5 Months & 2 Days in the Life Of.... It's first and most successful single was "Tennessee;" with "Mr. Wendal" probably being the song that the group is next best known for. My favorite though was "People Everyday" (a remake of Sly & the Family Stone's 1969 "Everyday People"). I heard it on the radio today for the first time in forever, and 20+ years since I bought the cassette I still know all the words. Something I wasn't aware of at the time however, the female lead vocals on "Tennessee" and "People Everyday" were performed by Dionne Farris, who later had a major pop hit in 1995 called "I Know."